"2017 Firefly Benefit Gala”，jointly sponsored by the Bank of East Asia (China) Co., Limited ("East Asia China") and SSCLF-BEA Public Welfare Fund ("BEA Public Welfare Fund"), was successfully held in Shanghai Okura Garden Hotel on December 7, 2017. Around 200 guests including Hong Kong's renowned actress Michelle, caring entrepreneurs and charitable people from all walks of life gathered together generously for the improvement of the youngsters’ educational conditions in remote rural areas. 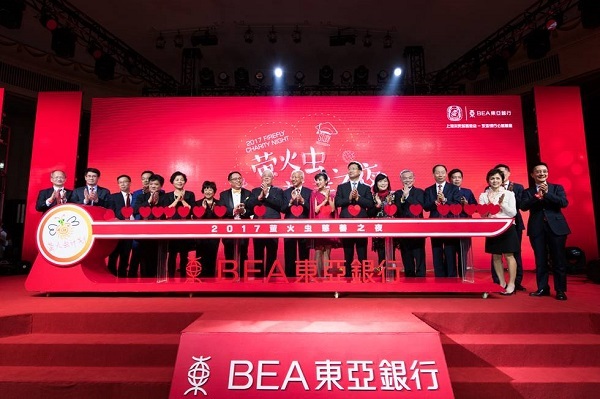 It is the ninth benefit gala since the establishment of BEA Public Welfare Fund. A total of 11.06 million yuan was raised at the event. 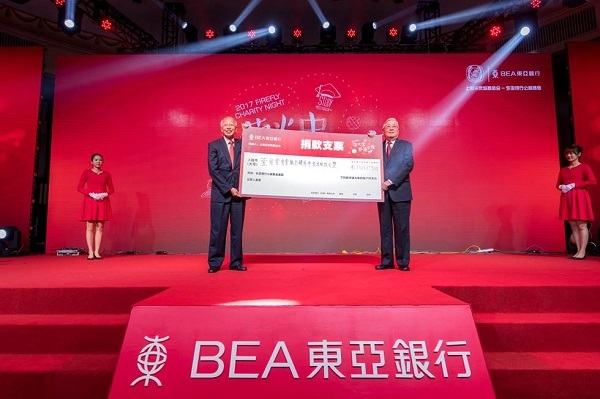 So far, the total amount of money raised by BEA Public Welfare Fund has reached 73.81 million yuan. 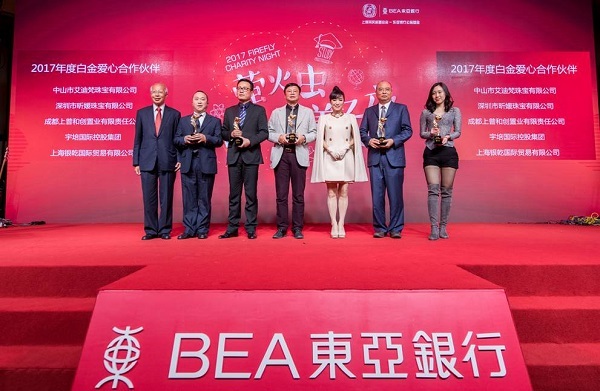 The BEA Public Welfare Fund has been on the road to support the youngsters’ education in remote areas in China for eight years. Mr. Lin Zhimin, executive director and president of East Asia China, said: “we are also constantly committed to exploring the emerging public welfare models, through creating the public welfare platform of “Pairs of Public Welfare Matched” to implement long-term education aid projects to extend the youngsters’ education in poor areas to a deeper and broader extent. The song of "Heart of Thanksgiving" sung by the chorus of the Children’s Palace of the China Welfare Institute kicked off the charity gala. Along with appearance of famous brand gold bars, art treasures, famous calligraphy and paintings, fashion handbags, top-grade baby stroller and other exquisite auction items, the atmosphere of auction scene was warm with one climax after another. The finale of the charity gala, the platinum credit card with East Asian China Lucky Card number became the most popular auction item last evening. As the first public welfare fund set up by foreign banks in the mainland of China, BEA Public Welfare Fund has long been committed to caring for the education of young people in poor areas since its inception in 2009, and all of its donations will continue to be used to promote its three core projects -- the Firefly Project, BEA College Grant Program and NGO Aid Program which will benefit more people and more regions year by year. Mr. Chen Qichang, vice chairman of East Asia China, donated the check to Mr. Mao Jingquan, vice chairman of Shanghai Soong Ching Ling Foundation. The guests lighten the bright future for the children.